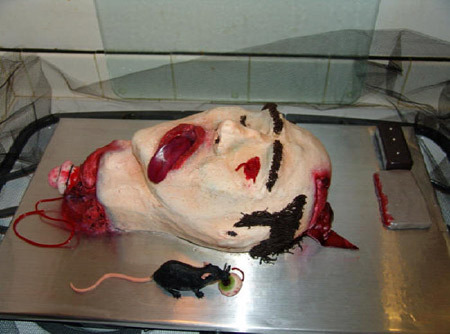 From a bloody bride to a cake full of guts, these are twelve seriously ugly cakes. 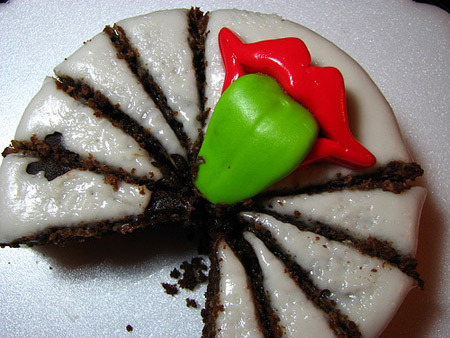 What could be weirder than this cake to cut on this festive season? 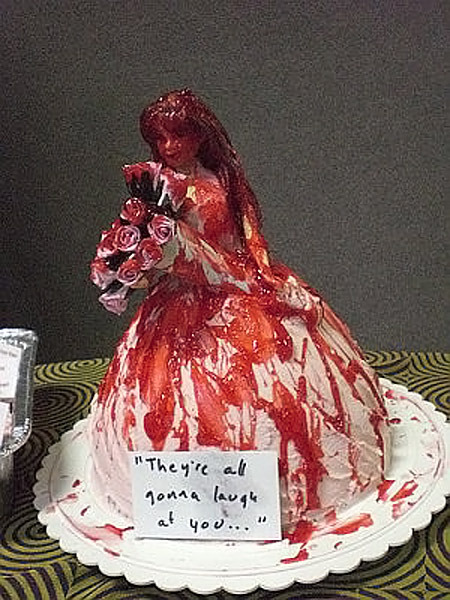 The cake seems to be a bloody treat for everyone instead of a joyous one. This was a cake at Bazaar Bizarre in Los Angeles. The customer wanted a cake that looked like a pile of poo with toilet paper and flies! 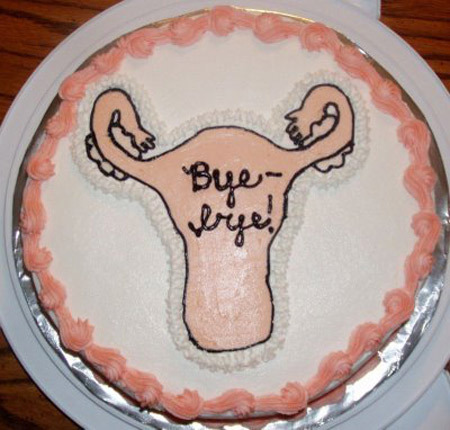 It was for a 60th birthday and it was going to have a sign in it saying "Turning 60 is like stepping into a pile of s--t."
An ugly uterus cake to say good bye to a uterus being cauterized the next day. 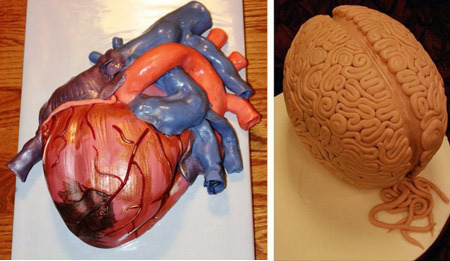 Definitely not the most appetizing cakes out there, but you can't argue about the craftsmanship going on here. Looks like the heart has some apical infarction action going on, yeah that's right, busting out the anatomical terms. 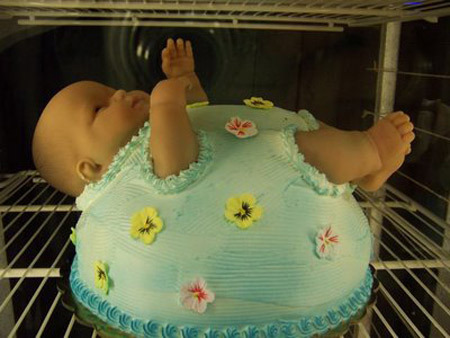 That's the thing about a cake shaped like a baby. 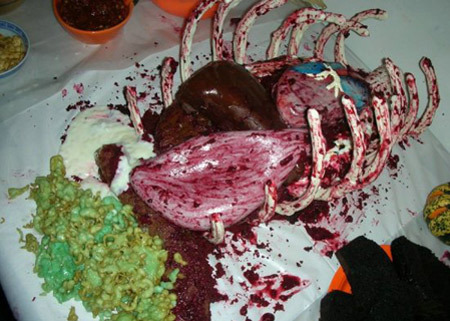 It's ok to have it as the centerpiece at the baby shower but kind of creepy when you cut it! 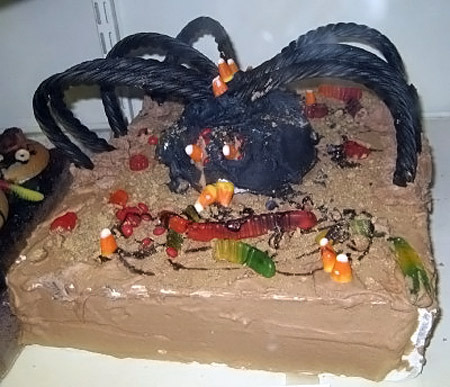 Ugly spider cake made for Halloween. 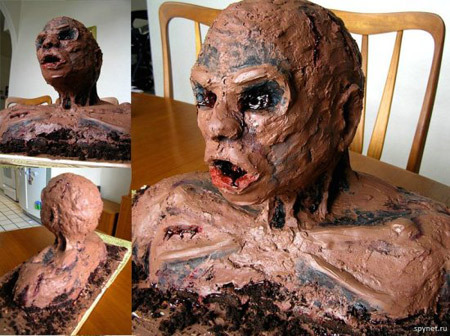 Isn't this the ugliest cake you have ever seen…? I wonder who ate this!!! 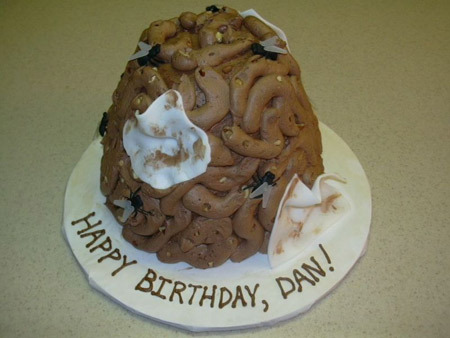 A disgusting cake full of guts. 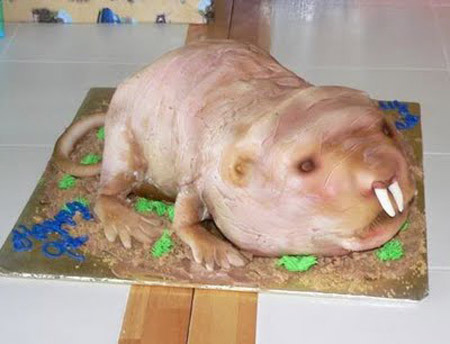 This cake is a naked mole-rat, and it's a master piece. A serious Headcase! 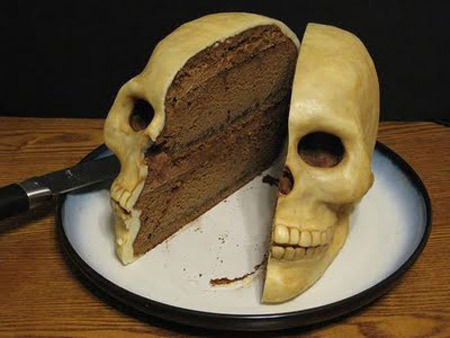 This creepy cake wins heads up! All edible except for the rubber mouse.